It’s no secret Taiwanese garbage trucks are renowned for playing tinkly charming music that lures local residents far and wide … to go outside and throw out their trash. That sonorous melody is both super useful (Taiwanese citizens are required to “hand deliver” their trash) and a prime source of nostalgia. 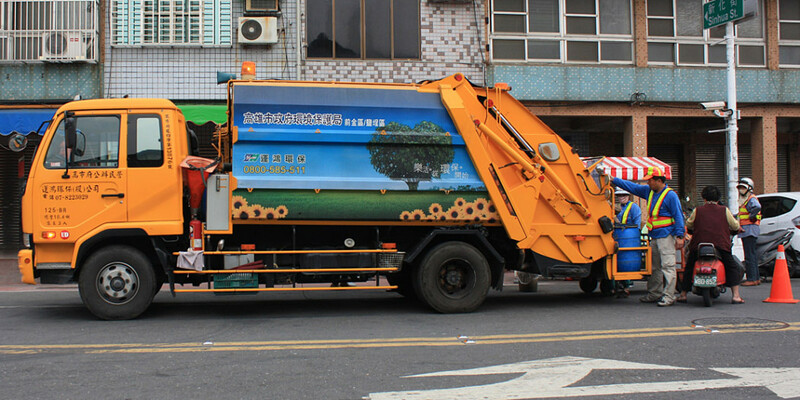 For years, that catchy ice-cream truck-like music has run the gamut from childhood piano favorites to Beethoven’s “Für Elise” but the rise of Kpop, YouTube stars and endless Top 40 hits have caused Taiwan’s Ministry of Health & Safety to rethink its garbage truck branding and explore “updating” its trash collection soundtrack. You know, for the young people. “I think it’s a good idea,” says Audrey Wang, a California-born marketer-turned-barista who moved to Taipei several years ago to open up a moderately populated and impossibly cute cafe decorated with carefully chipped plates from Valencia, Spain. “They should also enlist someone—maybe Bon Jovi, Taiwanese people love Bon Jovi—to write a song on how to organize your trash into colored bags and recycling. That used to confuse me when I first got here.” She finishes filling a coffee cup and starts drawing a Taiwan Formosan Bear into the latte foam. TaiwaneseAmerican.org thought it our civic duty to help Taiwan with this national issue—so in no certain order and with little conceivable thought—we brainstormed a few songs for Taiwanese garbage trucks to add to their rotation. Vote or comment your suggestion below! Just imagine the Taiwan ice-cream truck—we mean garbage truck—playing that specific song in making your best life decisions.